The first annual Planned Parenthood Art and Music Festival teemed with excitement and solidarity this past Friday, April 7. 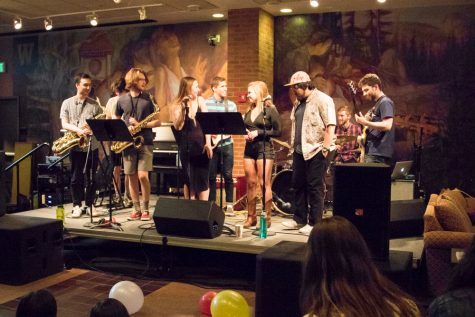 Despite the unpredictable weather that forced the event indoors to Reid Coffeehouse, the festival went on without a hitch, featuring two live bands, several local artists and plenty of appetizing treats. Having conceived the idea earlier in the year, Planned Parenthood Generation Action (PPGA), an advocacy group on campus, partnered with the Sigma Chi Fraternity to carry out the art and music festival. 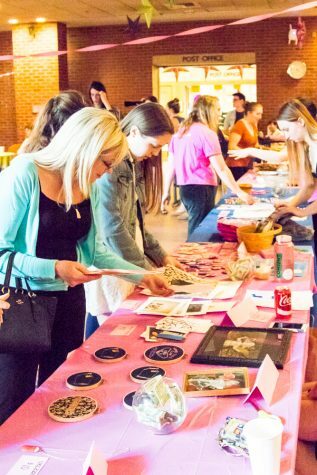 By working together, both groups were able to raise money for Planned Parenthood and promote the organization as a community asset. Impactful feminist artwork covered the tables, each piece evoking different emotions with varying styles. 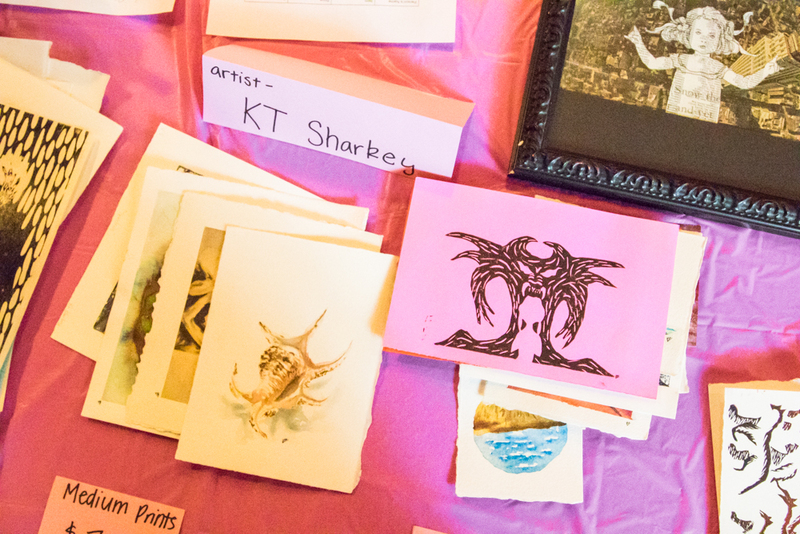 These prints and paintings were accompanied by other empowering Planned Parenthood merchandise. Meanwhile on stage, bands such as Where the F*** is Graham, Crossing Isaacs and Whitman musician Claire McHale entertained the crowd with energetic and vivacious music. 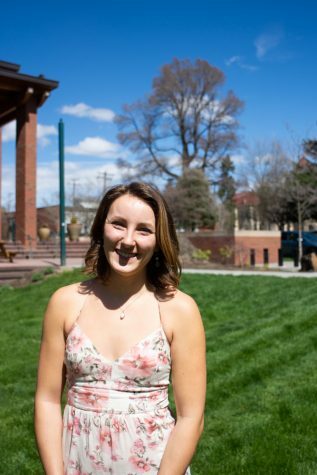 Annelise Ellingboe, a leader of Whitman’s PPGA advocacy group, has been part of PPGA since its formation in the fall semester of 2016. 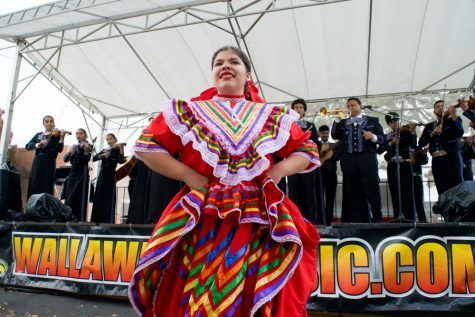 She felt this event would leave a lasting impression on the community. 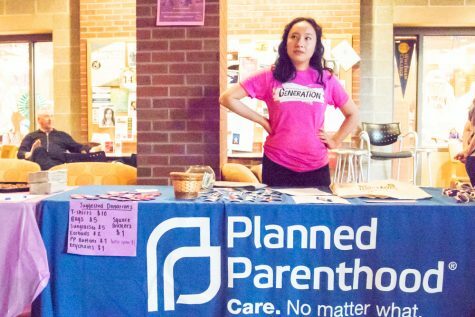 The event was a way for the club to advocate for Planned Parenthood and introduce its objectives to those unfamiliar with it. Greg Steigerwald of Sigma Chi felt excited about the fraternity’s involvement in the festival. “As [Sigma Chi’s] main philanthropy event of the semester, it seemed like the perfect event,” Steigerwald said. The fraternity’s involvement with this event was a way for Sigma Chi to show their support not just for Whitman’s PPGA club, but also for the entire Planned Parenthood organization, which is currently facing a great deal of judgement and constraint on a national level. 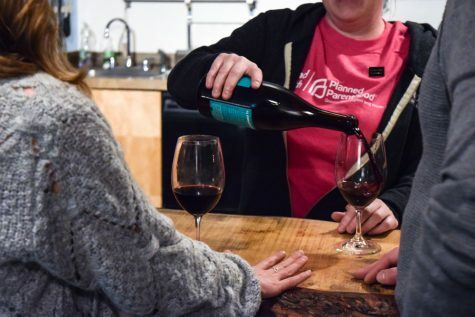 “This event helped bring people together to support a cause that is under a lot of duress right now, and shows that people will continue to support PP,” Steigerwald said. Alya Bohr ‘19 attended the event and enjoyed the exciting, lively atmosphere. By integrating several components of the Whitman and Walla Walla communities, the art and music festival became an event of solidarity. Bohr described the importance of having groups of different backgrounds and political stances come together for one event. With a huge turnout, the Planned Parenthood Art and Music Festival certainly made an impact on those who attended. All proceeds went to benefit Planned Parenthood.